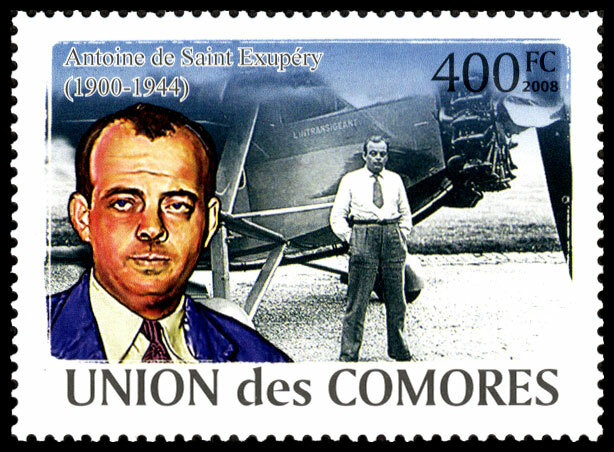 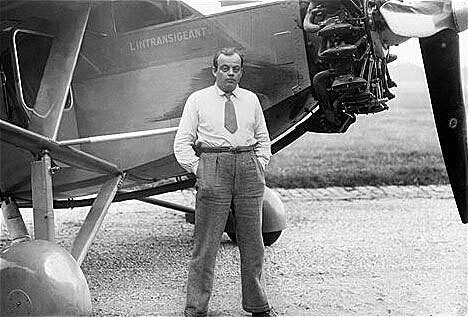 In 1931, Antoine de Saint-Exupéry became a reporter for the Intransigeant (the name of the newspaper appearing on the plane). 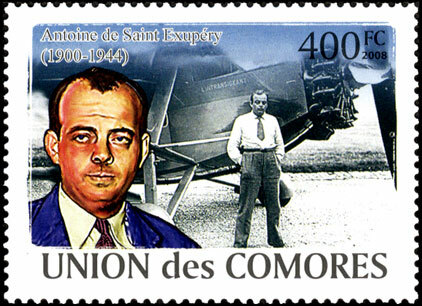 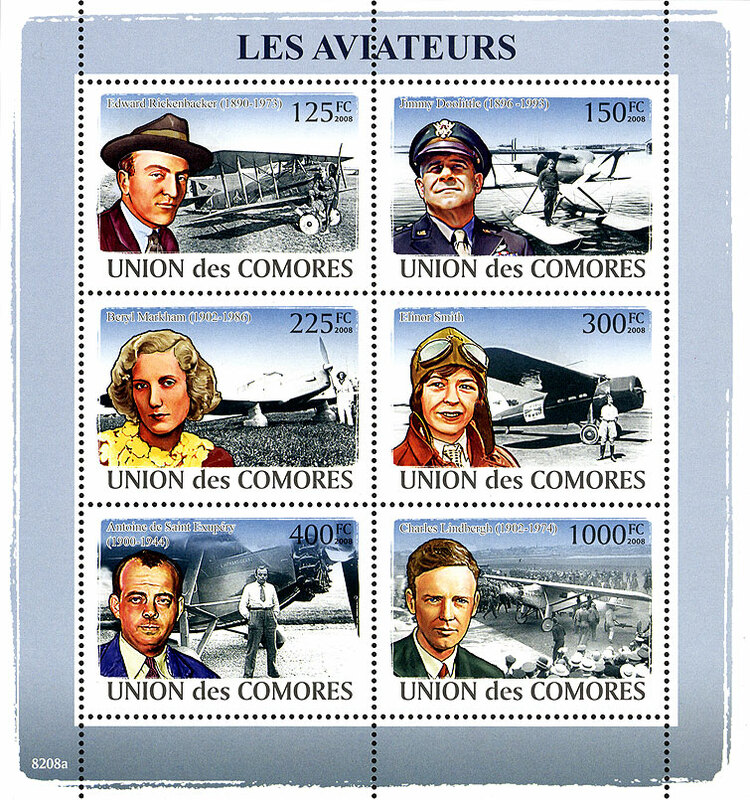 That was also the year he published Night Flight, a story of a battle and the hardships of a pilot's life. Thanks to Mark Morrow for the earlier image of this sheetlet!